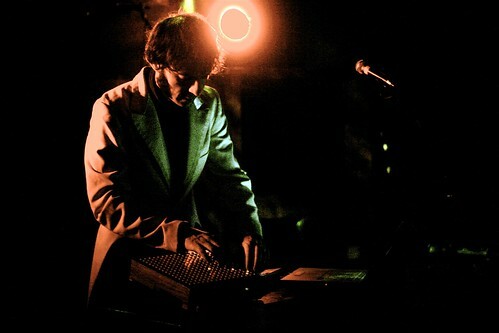 Daedelus joins me for a discussion on performance controllers, as part of an artist lineup ranging from dub pioneer Scientist to beatbox legend Kid Beyond and… a lot of other folks, too. Photo (CC) musiclikedirt. It’s music production. It’s … lasers. If you’re in the LA area, you’ll want to be there. If not, let us know in comments what you most want to see covered / interviewed / videoed for CDM. DubSpot’s Live 8 Sessions Tour heads to Los Angeles this weekend, for a set of workshops, performances, and demos on Hollywood Boulevard. I’ll be out with the crew, and hosting with DubSpot a special interactive performance lounge Sunday night. Sunday night will feature generative audiovisual art made on iPhones, and laser-powered, open-source gestural controllers and a laser installation that responds to motion and sound, plus Christopher Willits, Kid Beyond, Irwin, myself, and a lot more. The weekend workshops: The artist lineup includes legends from a number of genres, including Scientist, Kid Beyond, Daedelus, Justin Boreta (Glitch Mob), Thavius Beck, and Christopher Willits. Other names you may not know have their own resume in sound design and performance (Irwin), producing and education (Steve Nalepa), mastering technique (Daniel Wyatt), and business (Barry Cole). Sunday, monome virtuoso Daedelus and I will talk about controllers, performance, and sampling technique, I hope going well beyond Live to design and playing technique in general. Passes are $110 for one day, or $195 for the weekend. Watch for a similar series in Austin, Texas this month, and other cities TBD, or for everyone else, stay tuned to CDM and DubSpot. Ableton is a co-presenter, and Live a jumping-off point, but the topics really wind up being about more than any one tool. You’ll find deeper questions about composing, sound design, mastering, business, performance, controllers, and design in these discussions. I hope to work with some of my artist friends and DubSpot to bring more of those conversations to the CDM readers worldwide. 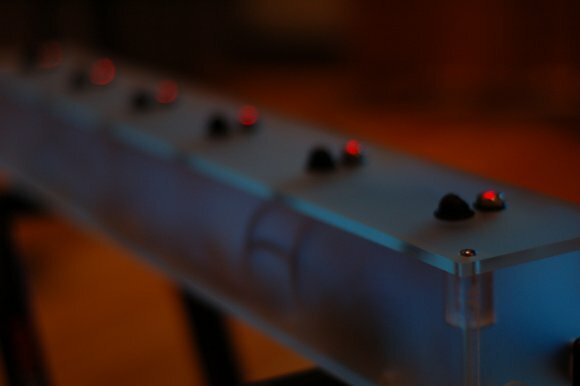 Meason Wiley’s laser music controller design will appear Sunday night; image courtesy the artist. 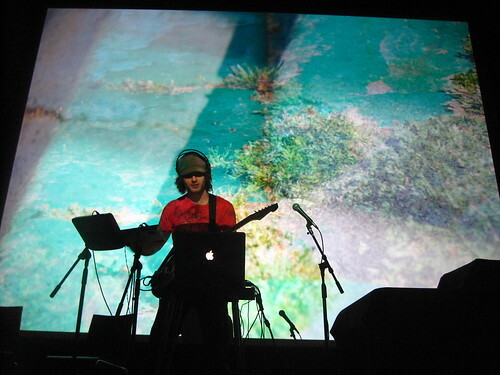 Christopher Willits; photo (CC) basic sounds.